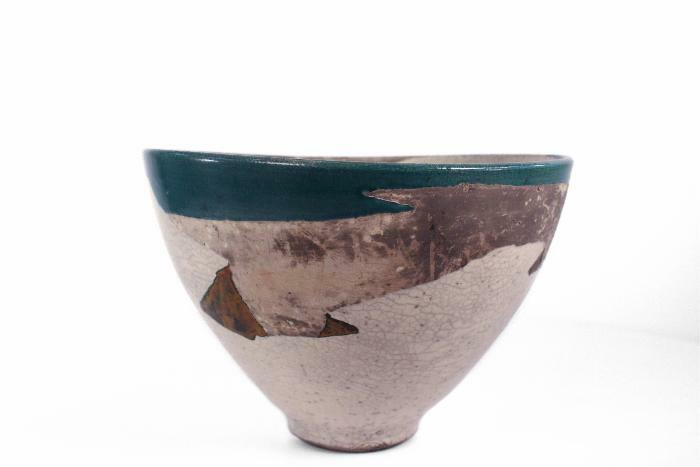 Deep footed earthenware bowl, wheel-thrown and altered. The bowl flares from the foot to its wide mouth. The decoration creates mesa-like forms on both the interior and exterior, which work interchangeably as the bowl is turned, creating illusions of a three-dimensional space.